Home | TOYS | GIANT INFLATABLE | Giant Inflatable Gorilla Animal Blow Up Toy 96"
Giant Inflatable Gorilla Animal Blow Up Toy 96"
Giant Inflatable Gorilla King Kong is a perfect for party decoration. 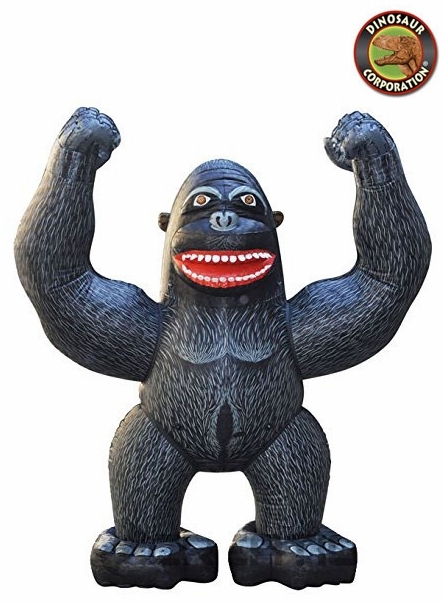 * Inflatable Gorilla dimensions 96" (244 cm) tall. * Built using a multi chamber system for increased stability. * Chambers in base for filling with sand or water to weigh it down. * Includes plastic tabs for tying down this guy as well. * Reinforced seam construction created using RF welding technology. * Deflates for easy storage.